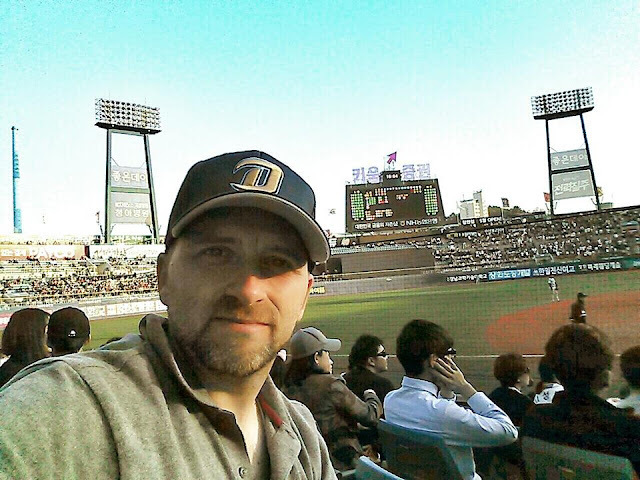 My name is Dan and I'm a 40yr old Chicagoan living and teaching in Korea. I moved here in February 2014 to become a Guest English teacher with the public school system. 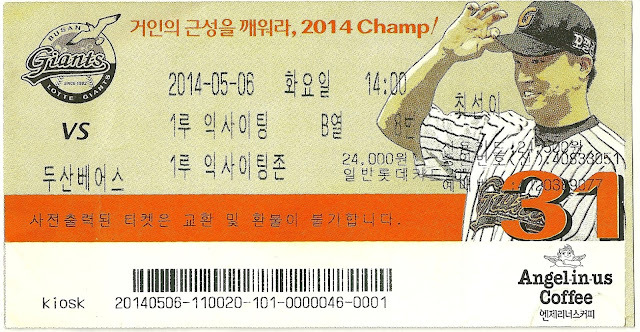 I play in baseball leagues here as well as collect KBO baseball cards which is probably why you are on this blog. After moving here and diving into card collecting, I had found out about Trading Card Database and took it upon myself to scan all the sets I buy and upload the images for other collectors, or non-collectors for that matter, to see. I've also created a Twitter account for this journey as well. 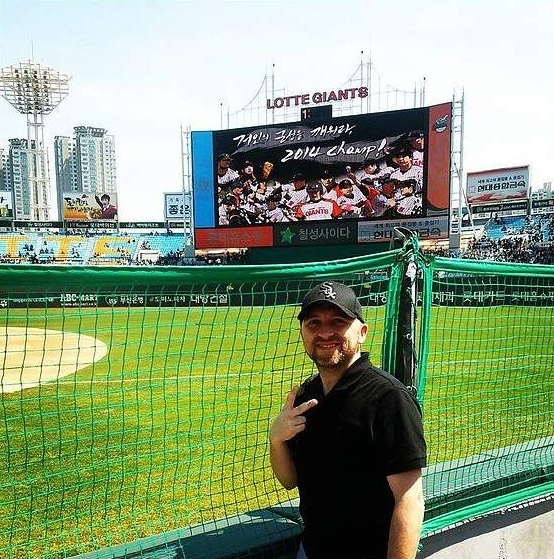 Below are some images of my Korean baseball experiences since 2014. This was my first KBO game. 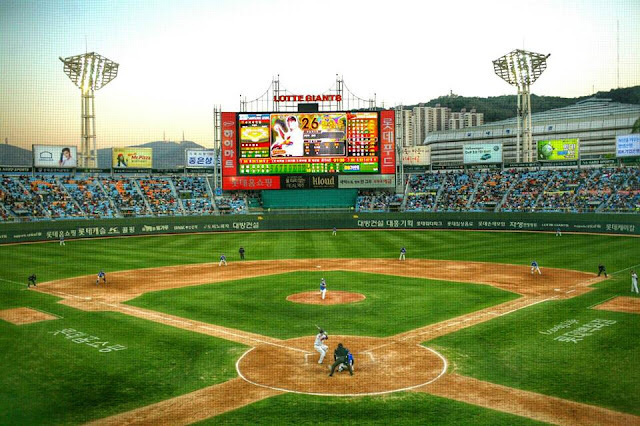 Doosan @ Lotte. Sajik Stadium. 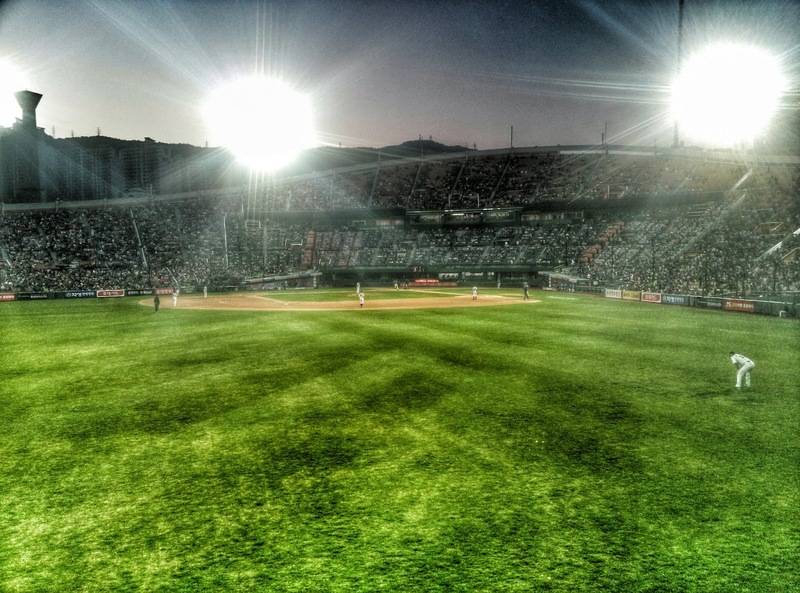 Home of the Lotte Giants. Feel free to leave a comment or send me an email if you have any questions. I was directed to your blog by your friend npbcardguy. I live in Korea and just got into starting up some collections. I'm mostly focusing on Korean cards at the moment, but I am also getting some MLB stuff shipped in from time to time. I just started looking for some other collectors that might want to get together from time to time. Would be cool to meet up sometime and talk baseball and cards. I take it that you are a Giants, Dinos, or Lions fan. I'm a Bears fan. I was a bit disappointed about the series this year. I was hoping for a bit more of a fight out of NC so that we could have had at least 6 games. I made it to game 1 and 2 and had tickets for game 6. Anyway, take care and hopefully we can meet up sometime. George, thanks for stopping by. I live just outside Daegu so I'm a Lions fan and huge Lee Seung Yeop fan. I teach with EPIK and have been here since Feb 2014. You found my blog. Checkout my links for some other useful sites. The Collectors is run by Chang and I've bought from him before. Many of those LSY's I bought from him already. Either he has doubles or hasn't removed them from his site. Send me an email at dan.skrezyna@gmail.com and we can talk some more.